You must log-in to renew your membership. Expired accounts are redirected to the Sign-Up page. Once dues are paid, site access is granted. Membership dues, bookstore purchases, and donations can be processed through PayPal. 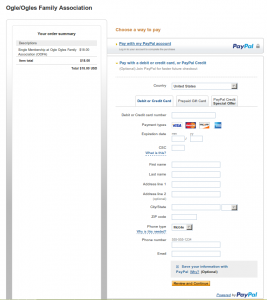 You do not need a PayPal account to complete a transaction. Select a membership plan from our “join” page to get to the registration form. 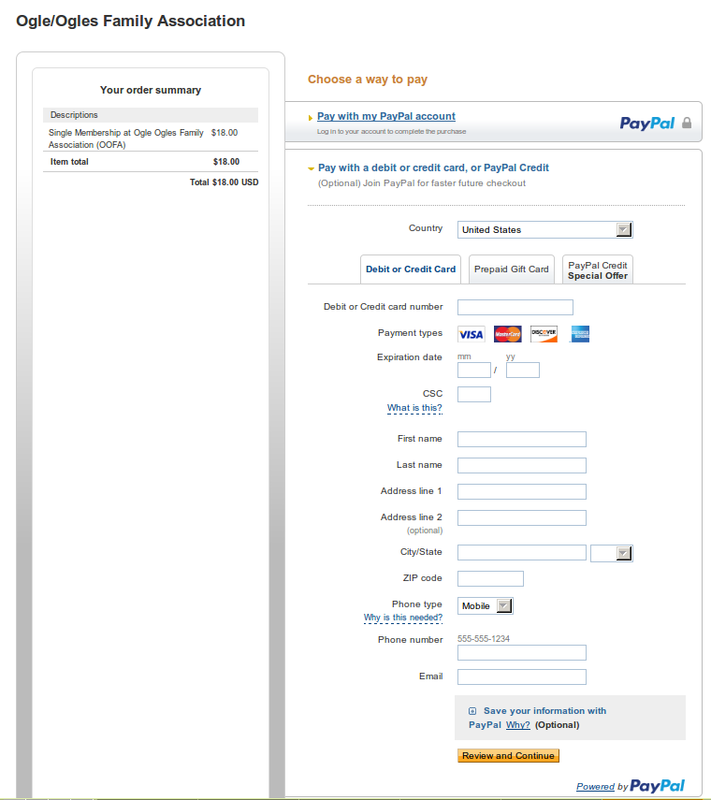 Choose PayPal as your payment option, complete the fields marked by an asterisk, and accept the terms of service. 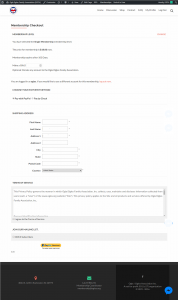 Once you’ve completed the form, click the PayPal Express button at the bottom of the page. You will be redirected to PayPal to complete your transaction. Pay membership dues via PayPal Express. 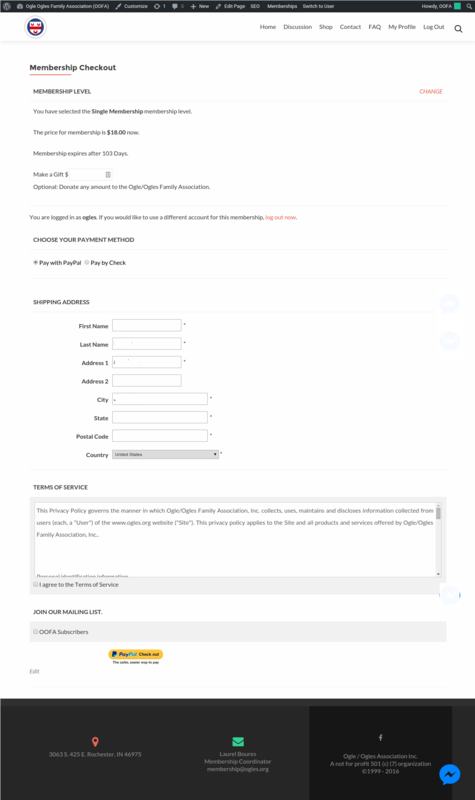 After you’re payment is processed, check your email for an activation link to login to your account on www.ogles.org. If you don’t see the email in your Inbox, check your spam/junk folder and add us to your contact list to receive future communications. You may also pay dues, purchase bookstore items, or give a donation by check or money order. You will be given this option at checkout. After choosing a plan, you will be brought to the Membership Checkout page. All fields marked by an asterisk are mandatory, as well as the acceptance of the Terms of Service. Be sure to choose Pay by Check for your payment option. If you would like to add a donation during checkout, please add the desired amount in the “Make a Gift” field. After you’ve completed the registration form, please check your email for an activation link. Copy and paste it into your browser, then login to your account. Be sure to send your payment to the address indicated at the bottom of the checkout page. Once your payment is received, your account will be fully activated by our staff and you will be able to see members-only content.